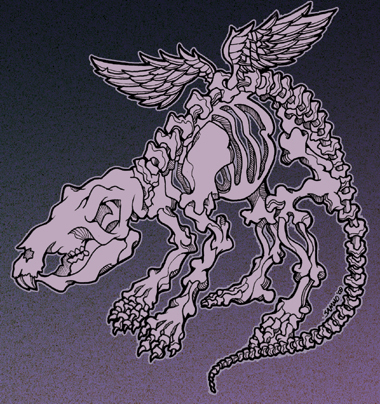 Fine art, Illustration, graphic design and the art philanthropy of Sam Morrison: Illustration Friday - "Intricate"
Here's my flying rat skeleton for Illustration Friday's topic of the week, which happens to be "intricate". Skeletons are hard to draw, to intricate for me. Wow Sam, this is a very cool drawing as well as concept. Keep it up!